Ready to get into RC racing? 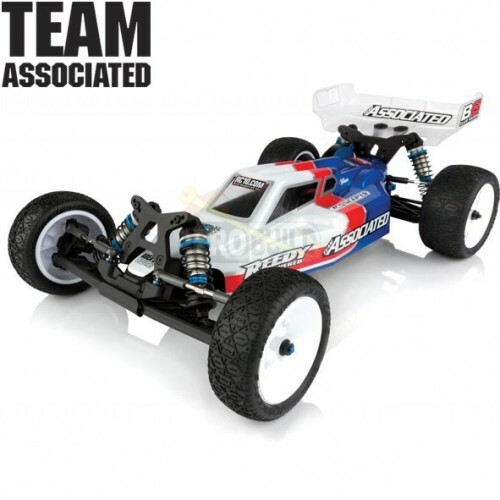 We have a solution for you: the RC10B6 Club Racer Kit! Designed with the entry-level racer in mind while also fully upgradeable to compete at the pro level, the B6 Club Racer comes out of the box with: big bore shocks, 3-gear transmission with ball differential, and precision ball bearings. Also included is a Reedy Power 17.5 Fixed Timing Brushless motor, Blackbox 600Z Brushless speed control, and high-torque digital servo. The B6 Club Racer boasts speed, durability and the lineage expected of a true champion by design! Please Note: This kit requires the following for completion: RC 2-channel surface frequency radio system, Batteries: 7.4V LiPo or 6.6V LiFe battery (shorty pack, saddle pack, or square pack) Saddle Pack and Square can be used, but you must remove the battery strap #91731 -- the battery must be held in with 2 sided tape., Battery charger (peak detection charger recommended), 1:10 scale tyres and inserts, 1:10 scale wheels, Recommended: tools, paint for polycarbonate body, glue for tyres.